Born in Cornwall, UK, in 1965, Jason Ellis studied sculpture at the University of Chichester under Alan Saunders, a former student of Anthony Caro’s. Following his degree, he trained then worked as a sculpture conservator in London for eight years and Ireland for a further twelve, having moved to Dublin in 1994. Stone became his master around this time and he began to carve occasional pieces to commission. 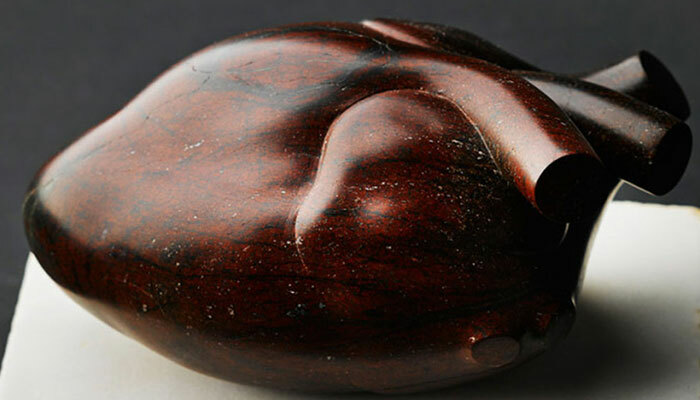 In 2006 he finally left conservation and turned exclusively to producing his own sculptures, which now feature in numerous public and private collections. Public works include Bantry Boats, the Bantry House Archive Gift, Co. Cork, 1997, and The McDonogh Stone for the Druid Theatre, Galway, 2009. His largest commission, Figurehead, stands over 7 metres high and was completed for University College Dublin in 2008. In 2010 he installed Black Pool, White Water at the Garda Memorial Garden in Dublin Castle and showed -hedra at the 12th Venice Architecture Biennale. He joined the Oliver Sears Gallery in 2011, held his first solo show there in 2013, and in 2014 was invited to submit to the National Self-Portrait Collection of Ireland. The combination of a fine art training and twenty years spent in conservation has influenced his art practice. 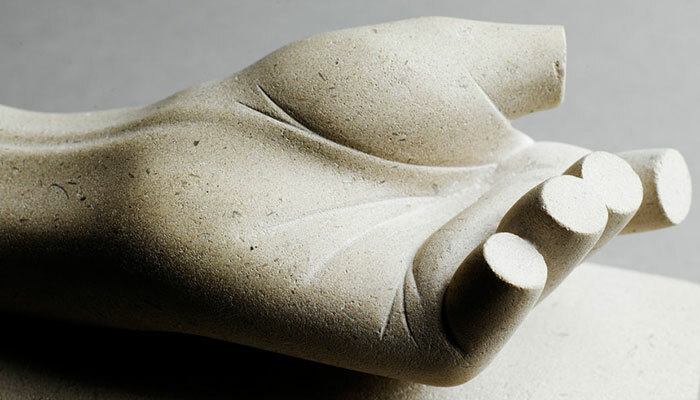 His immaculate carvings display a deep love, knowledge and appreciation of the medium of stone. He lives and works between Dublin and Sligo.